If you use the internet on the regular basis (especially social media platforms), you probably came across these well-organized advertisements. These advertisements claim you can make a lot of money, very fast and easy, by investing just a little bit of your hard earned money and time, into their proposed online business. 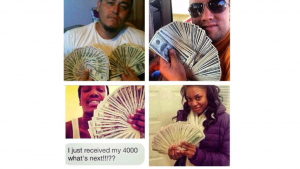 This is suppose to be a Legit Work Online Opportunity, supposedly! Building, and owning your own website, isn’t suppose to be necessary either. They say the pay-back is great, while you relax at home doing nothing. Your only hard task will be, how you would spend all the money you’ve just earned. Yea right!! Anyways these Con Artist, basically take advantage of an individual’s urge to make money fast, without going through the stress of taking the time and energy, to grow it gradually (which is the normal). This kind of mindset is very common in today’s world, and it’s popularly described, as the “Get-Rich-Quick” mentality, or “Get-Rich-Quick-Scheme”. It takes time and patience to find the right legit work from home opportunity. A lot of people (even the well-educated ones), have been conned or scammed online over the years, by these sweet-mouth individuals, without having the slightiest clue. The formats and methods of penetration used, are dependent on the type of scams. 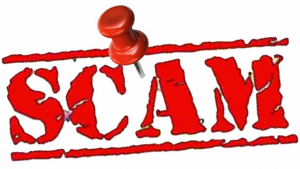 Yeah, there are different types of scams out there to watch out for, such as advanced fee/ prepayment scam, anti-virus scam, charity scam, emergency scam, employment scam, online extortion, identity theft, immigration scam, lottery / prize scam, money-flipping scam, overpayment scam, relationship scam, social networking scam, tax scam, telemarketing scams, and the list goes on. One of the more trending scams out there, especially on social media platforms like Instagram, Facebook, Twitter and the likes, is the money-flipping scams. The money-flipping scam is very enticing, and most impatient, ignorant individuals fall for it. Let’s take a closer look at these types of scams, and how you can avoid getting burnt. 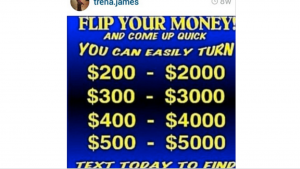 A money-flipping scam, basically takes on the form of a fast online investment business. But instead of calling the process “investing”, they call it “flipping”. You would only need to invest a small amount of money, to get a cumbersome ROI (Return on Investment), or flip, all within a short period of time. Usually minutes. 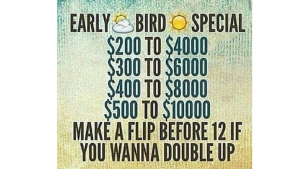 You will see advertisements like; turn or flip $50 into $500, or $200 into $2,500, in as little as 30 minutes, or make $200 per hour from home today! They also say things like, “I bought a Bentley 2 months into this business, “You can start earning today”, “Quit your job today, or “Buy the company in 3 months!” Yeah right!! You would agree, that these adverts are very enticing and tempting, because normally money isn’t easy to come by in today’s world. So grabbing a cheap opportunity to make loads of money within a short period of time, may seem to be a smart decision. But there is just one small problem. They are all scams. 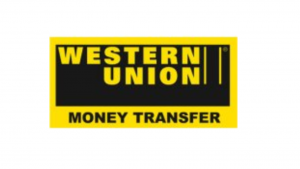 Their primary aim, is to get you to send them your money, via Western Union, Money Gram, or to simply obtain your banking details, and rip you off big time! Don’t fall for it. Let’s take a look at this scenario, where an innocent social media user logs into their account, only to stumbles upon a well-written advertisement, with a flashy headline that reads, “turn $20 to $500 in 30 minutes”, and a picture depicting luxury, cash, pretty ladies, fast cars and all. Then the user gets super-curious, and visits the link. They then get to a website where the supposed “Get-Rich-Quick” investment, is explained in detail, followed by the ‘almighty’ call-to-action, where he was told to deposit an initial sum of $100 via their platform and multiply it in minutes. He then punches in his online banking details on their platform and makes the “smart deposit”. I am sure you can guess what happens next? Obviously, his $100 is gone, which seems small right? But in a way, the scammer already has his prepaid card details that he used to make the “small payment”. Moments later, his account gets wiped, he gets un-friended or blocked on the social network platform, and all communications are lost. 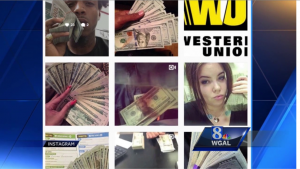 Another real case scenario, could be you logging into your Instagram account, only to see a video post with someone counting about $8,000 in cash. They would be saying how thankful they are, for taking the chance they took, to see if the “money flip”, process was real. You see this video, and instantly feel like this is also possible for you. So you direct message (DM) the account holder for more details. They tell you that there’s a minimum deposit of $100, needed to start investing. Them they mention the 2 ways they except payment, and that they’ll stay on the phone with you, the entire time during the process. 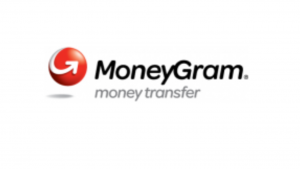 They say that you could either send a money gram, or send your money via Western union. You then send the money, and the countdown begins. They tell you to wait 30 min, while they stay in the phone. They then tell you, after 30 min, that the processing has stopped at 90%, and that you’ll have to send them another $100, to finish the process. By this point, your heart should be racing! You start to wonder what happened to your first deposit? By this point, the scamming as already been completed. Now your left $100 short, and extremely pissed, as the scammer tries to explain to you, that this is absolutely normal, and that this happens all the time. It’s apart of the process. Yea right!! People suffer much greater losses, and end up going bankrupt, just because of one simple, ignorant online transaction, which is backed up by the common “Get-Rich-Quick-Scheme” mindset. I can’t advise you to avoid all online investments, generally because there are some legitimate ones out there, that actually pay. But they definitely don’t promise too good to be true returns on investments like “Get-Rich-Quick” investment schemes do. The only thing I can suggest you do, is to carry out thorough investigations, and avoid divulging sensitive personal information online or to anyone. Make a search of the name of the company. For example, if the name of the company is Quick Capitals, you can search for “Quick Capitals Scam” or, is “Quick Capitals” a scam, or legit. There are niche-based review sites (like this one your on now for example), that investigate and write reviews on different investment programs. Check out the company’s website, and make sure their contents are up-to-date, and well written. Check for the company’s location, business registration number, and licensing information. If you can’t get this information online, or from their website, take note that something might be fishy about this business. Find out how they make returns. Do they invest in the stock market, or real estate? How about Foreign exchange markets? It is important you know how they make money. Search for the founder’s information. The scammers might use a fake image, or fake information. So what you can do is, search for the image, via your browser, and then the website, where the image was used. This will hopefully come up. You can then check out the information on that site, if it has any tie with the company. 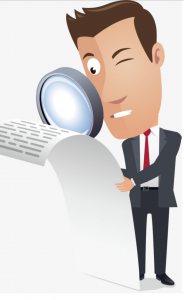 Search for testimonies. Ignore the testimonies you see on the company’s website. They are probably false, and paid for. Go to high authority sites instead, with perfect online credibility, to check for testimonies and customer experience reviews. This information is very sensitive, and should be known by you only. If any online investment program request this information, don’t make any attempts to give it to them. The business is definitely a scam. The reason why, is because no legitimate service would ever ask you to share this information. Keep your information to yourself, and be smart about making online purchases from any site. Take a look at the return on your investments. If it is too high and unrealistic, don’t go for it. The company might be an outright scam, or Ponzi scheme, which in the long run, turns out to be a big scam. A Ponzi scheme, promises investors a very large return within a short period of time. What they do, is that they pay investors that are due to get paid, with money gotten from new investors, or current investors, that are a re-investing in a larger sum, into the company. In the long run, everything crashes, and the unlucky ones get burnt. So take your time carrying out smart in-depth researches. Feed yourself with the relevant information needed to make a well calculated, financial decision, you won’t regret making later. These are the type of scams, that actually get people the most. So beware! 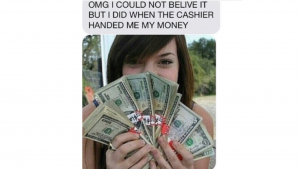 These scammers hack into your close friends, or a family member’s social media account, upload fake picture’s and videos of people counting lots of cash, and then start to advertise the money-flipping scam, thru private messaging. 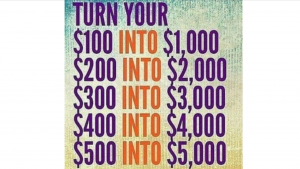 Imagine your close buddy sending you a message that she just doubled her money in 30 minutes, and would love you to get in on it. Another thing to be conscious of, is how much personal information your sharing online. Information like your address, family members pictures and addresses, friends, and your place of work, can all lead to a scammer being in your life. Money-flipping scams, are becoming very popular, and are also ever-evolving, with new methods and ways to get to potential victims. It is up to you, to educate yourself, and people around you, on how they can go about it, and how to avoid being scammed. Do you have something to say about “flipping money scams” or something to add? Maybe you have something to add about your success or failures doing this? Hello there stranger, and thank you for commenting and verifying that money flipping is truley a big scam. I’m so sorry to hear that you lost so much money to this pathetic scheme. And they use different names. Not just Mr.Kelly. They are found predominantly on Instagram, as well as other major social medias like Facebook, and Twitter. Me myself was scammed out of $200, from a scammer on Instagram! So I know the feeling. That’s why I wrote this detailed review. I wanted to warn any and every serious person looking to make real money online, to stay far away from this evil scam. It doesn’t matter how good it sounds, it’s not real, period. Thanks again for commenting on my post, and good luck with all your success online. I don’t know it was scram bt I find myself am a vitcm just yesterday I lost 3k though it might be small to some of you bt for me as a student in school right now was dupe yesterday. Seriously dis people needs to be arrest but human being can I know my God will as d saying goes ALL DAY FOR THE THEIF JUST ONE DAY FOR THE OWNER. Sammyflip as dupe me oooooo😢😰😰😧😞😨😨😨 there is no how God will surely punish dem except if I don’t serve a living God and I knw d God I serve will never fail and he has never fail diz will be there last. Hi there Debbie and thank you for commenting. 3k is definitely a big deal, and I and I’m so sorry for your lost. I hope this post helped you out, and made you more well informed of this popular social media, online scam. At least next time it won’t be the same case, if you were to run across this so called “money flipping” scam again. I’m so sorry again for your major lost! Good luck and thanks again for commenting. Take care..
Hello Madam President, and thank you for commenting. Thank god you didn’t send your 30k out to these scammers. You would have made those scammers very happy. I’m so glad my article was able to help you out. Please warn others about this scam, as I’ve warned you. Spread the word please, and most certainly block them immediately. Thanks again for commenting. Take care..